Not only does she own Hyde Park’s newest women’s fashion boutique but her jewelry designs are now available at major retailers such as Anthropologie and NastyGal. Click for all the couture details. 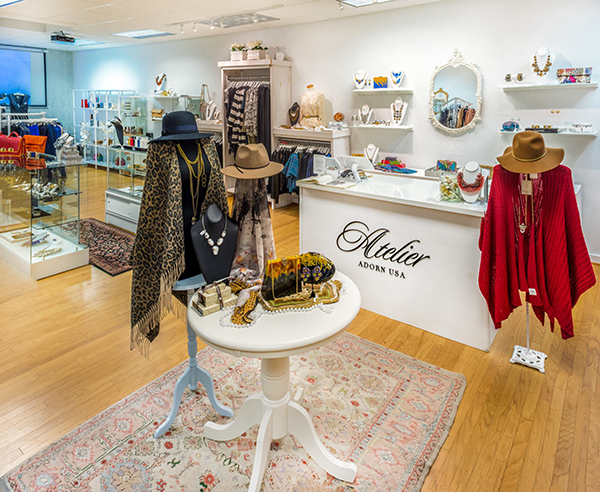 Atelier Adorn USA is a boutique in Hyde Park Square owned by Arlene Aranzamendez. For Arlene Aranzamendez, fashion isn’t just about clothes and accessories. For her, fashion is a passion. Aranzamendez is the founder and owner of Atelier, a boutique located in Hyde Park Square, that offers jewelry, clothing, accessories, fragrances and gifts. Aranzamendez originally opened her boutique in Madeira in 2014, and recently relocated to Hyde Park Square above Tanya’s Image and Wellness Salon. Aranzamendez says she’s known for carrying statement jewelry. For example, some of the most popular items at Atelier are from the LUXE GEODES COLLECTION, which includes several geodes, crystal and pearl combinations. What makes Aranzamendez’s boutique successful, she says, is that she considers the right fit and lifestyle of each customer. She gets to know her clients – whether they want to make a statement, try something new or just want to find something gorgeous and comfy to run around in while doing errands – and takes pride in being knowledgeable with the fit of the products she sells. 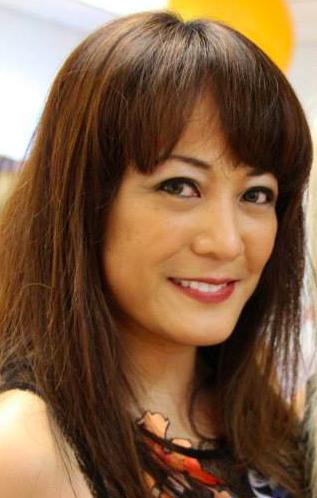 Arlene Aranzamendez, Owner of Atelier Adorn USA. The pieces, which are PETA-friendly, animal prints, colorful artistic pieces, pieces with a man-made and earth-sourced materials, have landed Aranzamendez partnerships with retailers including Anthropologie and NastyGal. Aranzamendez says she especially enjoys preparing customers for special occasions. “I’ve style Atelier shoppers for black-tie fundraisers, CSO/Opera events and art openings,” she says. She most recently styled someone for the Cincinnati Film Commissions’ Carol preview screening at The Esquire Theater. There’s also a possibility that she will style a customer for the SAG Awards in Los Angeles. Putting her years of industry experience and know-how to work, Aranzamendez helps mentor and inspire other up-and-coming designers. “It’s great to show them that we can succeed in a smaller market like Cincinnati, and that you don’t have to be working in New York or LA to connect with fashion and appreciate the amazing work of designers from around the world,” she says, adding that she’s motivated by the opportunity to help Cincinnati retain fashion designers and entrepreneurs. Aranzamendez says that in 2016 she would like to focus on wholesale and further developing her Konstantin line. “Styling and designing are two of my favorite aspects of this business, so I intend to really prioritize that in the upcoming year,” she adds. Atelier Adorn USA is open by appointment only on Monday, from 11 a.m. to 6 p.m. Tuesday through Thursday, 10 a.m. to 5 p.m. on Friday and 10 a.m. to 4 p.m. on Saturday. Find more information on Atelier by visiting their website or following along on Facebook and Instagram. Aranzamendez says you can stop in to the second floor location on Erie Avenue or email info@adornusa.com to schedule an appointment during store hours. Visit our ADORN USA™ Showroom at 2716 Erie Avenue, Suite 3B Cincinnati, OH 45208. For all wholesale buyer inquiry, please contact us at wholesale@adornusa.com.